Academic Dishonesty: Does Social Media Allow for Increased and More Sophisticated Levels of Student Cheating? 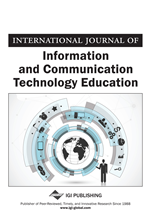 This article examines the effects of the social media applications Facebook, Twitter, Snap Chat/Instagram, Texting and various smartphone applications on academic dishonesty in higher education. The study employed a mixed-methods approach conducted through an emailed question-pro student survey consisting of 20 questions. The results of the study indicated that the majority of students in higher education utilize the social media applications Facebook, Twitter, Snap Chat/Instagram and Smart Phones to assist with their academic studies. Although students report utilizing these forms of social media to assist with their studies most do not use these applications for cheating or any form of academic dishonesty. There was an increased willingness to use texting, screenshots, video and audio recordings to cheat on exams and other academic requirements. In addition, the majority of participants indicated they felt any form of cheating or academic dishonesty was wrong. However, most indicated they would do little or nothing to intervene or prevent it in their particular classroom situations. It was not the intent of this research to examine the reasons or the “why” of student cheating, as much has been written on this subject over the years. A study of several midsized private and public universities by Shelley (2014) found, while most students understand the rules, most look to peers for cues as to what is acceptable behavior. The first large-scale study of academic cheating in higher education was conducted by Bill Bowers in 1964 with 5,000 students from 99 institutions were surveyed. This study found that over 75% of the participants admitted to some level of cheating or academic dishonesty. This study was replicated 33 years later (McCabe, Trevino, 1993) using many of the same institutions for the sample population. They reported only a modest increase in the percentage of academic cheating with the greatest increases being among females. Academic dishonesty among college students is now recognized as a serious problem in institutions of higher education. In fact, as many as eight out of every ten students admitted engaging is some form of cheating in their collegiate courses (Gabriel, 2010). Present research materials fairly and truthfully. In the 1990’s, Pavela (1997) developed what has become a widely accepted framework that defines the types of academic dishonesty; 1) cheating, 2) plagiarism, 3) fabrication, and 4) facilitation. He also broke down academic dishonesty into two realms, analog (traditional) and digital (cyber cheating). Large scale cheating has been reported recently at some of the nation’s most competitive schools like the Air Force Academy and Harvard (Peres-Pena, 2012). A survey of 14,000 undergraduate students conducted by Donald McCabe (2011) at Rutgers University reported about two-thirds of the students admitted to cheating on tests, homework and other assignments. A total of 273 alumni reported on their prevalence and perceived severity of 19 cheating behaviors. According to Yardley, et. al. (2009), the vast majority of participants (81.7%) report having engaged in some form of cheating during their undergraduate career. In recent years, more and more cases of academic dishonesty are now of the digital\cyber formats. These cases of digital cheating are usually through devices like smartphones, emails, or various social networks (Stogner, Miller & Marcum, 2012).